Come to our monthly meeting. Join us on Wednesday, 13 February 2019 to hear Stuart Ayres from Ogo Technology talk about innovation and how it can change lives for the better. 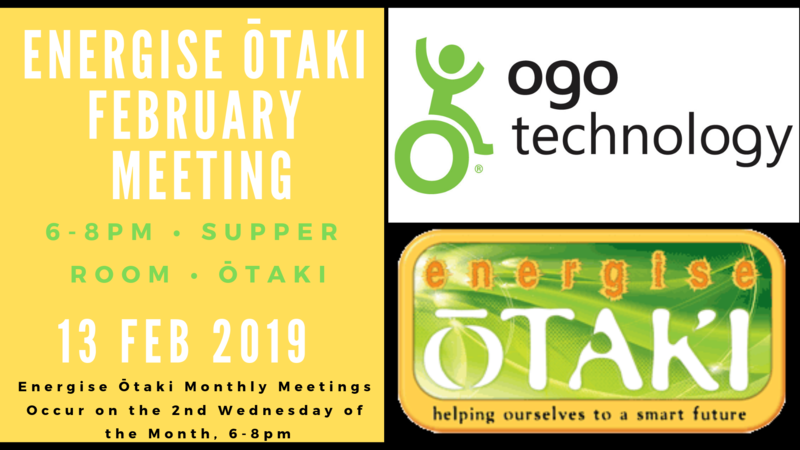 You will also learn about Energise Ōtaki and how you can get involved with current or future projects. We have recently seen Ogo in the news and it will be great to learn more about it directly. Where: Dr. Gertrude Atmore Supper Room, Ōtaki (the building on the corner of Main and Aotaki Streets) across the street from Hamish Barham and Countdown). 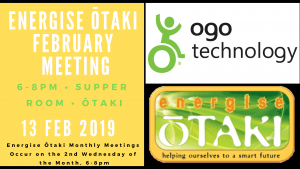 You can find the Agenda here Energise Otaki Agenda February 2019 Final.